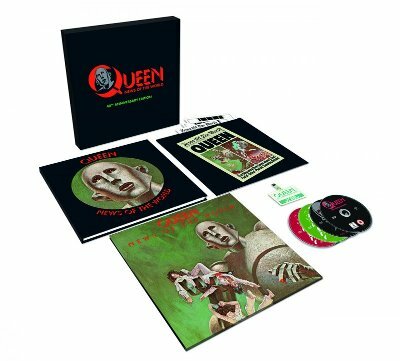 Queen will release an expanded 4-disc box set of the News of the World to mark the album’s 40th anniversary. News of the World, the sixth Queen album, was released on October 28, 1977. The album is Queen’s best selling album to date. News of the World was a format change for Queen. The previous album, A Day At The Races, was self-produced and often reviewed as “boring”. For this record the band decided to rock-up and orchestrate less. They brought in Mike Stone to co-produce and spent two months writing, recording and producing, finishing in September 77 and releasing the album four weeks later. News of the World featured "We Will Rock You" and "We Are The Champions". The album reached number 3 in the USA and number 4 in the UK. Queen News of the World will be released on November 17, 2017.